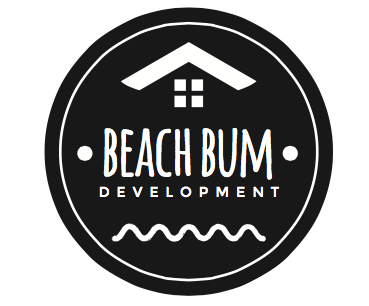 Beach Bum Development is a one-stop-shop for all your housing needs. 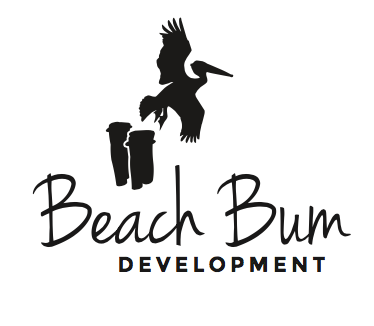 Unlike real estate agencies who help you buy land or a home, or builders who construct a house, Beach Bum does it all. That includes helping their clients purchase the land, designing their dream home, and building the actual house. Best of all, they do it at a competitive price that stays within budget from beginning to end. As the company established itself in coastal North Carolina, they knew a great logo would be an important part of building their reputation and positioning themselves as experts in their field. This was especially important for a company that guides clients through a long and often stressful process such as purchasing land and building a home on it. 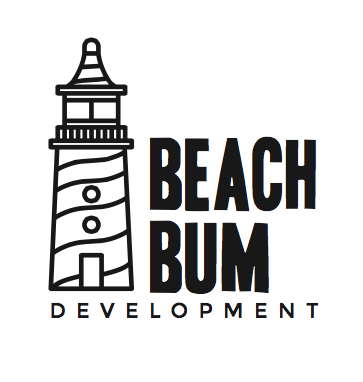 Beach Bum Developers approached Sage Island with their challenge, which we were thrilled to accept. Over the course of this project, our designers came up with a number of preliminary sketches as they worked toward a solution that blended a fun, relaxed feeling, a coastal vibe, and professional experience. Below are some of the designs we considered during the process. 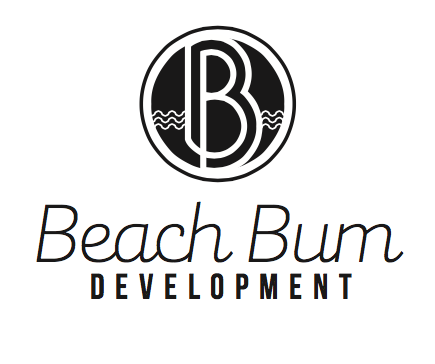 In the end, the client chose the logo they felt best captured their fun yet professional spirit and deep coastal connections. We couldn’t have agreed more. When we added color, it was clear – we had a winning logo, a happy client, and a team of satisfied designers. If your business is in need of a little logo love, contact Sage Island or check out our brand identities to help get your creative juices flowing. We’d be happy to work our magic on your business and find the perfect way to portray your values and services.